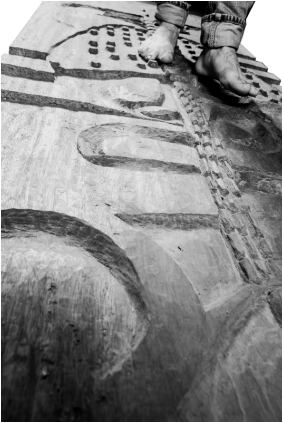 "Hand carving undertaken over the six weeks preceding the exhibition date. The deadline completed the work in the same way a walk is measured between two fixed points. 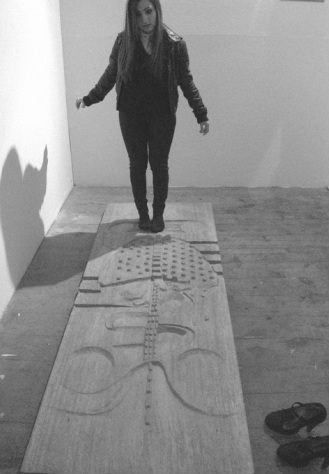 Just as carving an image from an object involves inversions, so too would the work's intention be an inversion. Although physically demanding, I liked the idea that my hands were having an indirect massaging pressure on the sensory experience of those who chose to walk it. A connection and a response to the fabric of Liverpool and its environments."